Alfred de Zayas, the U.N.’s Independent Expert on the Promotion of a Democratic and Equitable International Order, is assigned the task to apply the standards of international law to proposed treaties, to determine whether they’re in accord with international law. On Friday, June 24th, he issued his finding on three large proposed treaties regarding international trade among Atlantic countries: TTIP, TISA, and CETA. Earlier, on February 2nd, he had issued a similar finding on the proposed TPP treaty between Pacific countries, and his conclusion there was the same: that the proposed treaty violates international laws, and is inconsistent with democracy. His finding regarding the proposed Atlantic treaties condemned them by saying: “Trade deals prepared and negotiated in secret, excluding key stakeholders such as labour unions, consumer associations, health professionals and environmental experts and now parliaments, have zero democratic legitimacy.” This describes all of U.S. President Barack Obama’s proposed treaties on trade: TPP, TTIP, and TISA, and it also includes CETA, which is the proposed treaty between the EU and Canada. 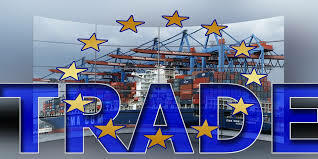 An earlier consultation conducted by the European Commission in 2014 resulted in 97% of respondents from across Europe expressing opposition to the inclusion of asymmetrical investment protection in Transatlantic Trade and Investment Partnership (TTIP) with the USA. “The same would apply to CETA, but no consultation was ever held,” he noted. “Asymmetrical investment protection” refers to the power that these proposed treaties grant to international corporations to sue (for alleged loss of their profits) nations that increase regulations to protect the safety of the public from toxic products, and from environmental harms, and that protect workers’ rights and other human rights that can also, in some circumstances, reduce corporate profits. “Asymmetrical” refers to the absence in the proposed treaty of any symmetrical power granted to a government to sue an international corporation that violates its laws to protect the public. In a statement to the Council of Europe, on April 19th, de Zayas had said: “Two ontologies seem to have been lost in the ideologically-driven corporate narrative. Firstly, the ontology of the State, its raison d’être to legislate in the public interest, including preventative measures to avert potential harm to the population. Secondly, the ontology of business, which is to take calculated risks for profit.” He meant there that these proposed treaties, which would enable the latter to override the former — enable international investors to override national sovereignty of democratic nations, and which would impose their own system of ‘arbitration’ that isn’t required to adhere to any nation’s laws and constitution — violate international law. “Trade agreements should be ratified only after human rights, health and environmental impact assessments have been conducted, which has not been the case with regard to CETA and TTIP,” Mr. de Zayas said. “Ratification of CETA and TTIP would start a ‘race to the bottom’ in human rights terms, and would seriously compromise the regulatory space of states. This is contrary to the Purposes and Principles of the UN Charter, and would constitute a serious obstacle to achieving a democratic and equitable international order,” the UN Independent Expert concluded. The statements by the U.N.’s Independent Expert on the Promotion of a Democratic and Equitable International Order are damning against these proposed treaties. As the U.N.’s appointed independent legal counsel regarding these treaties, he is saying that, regardless of whether they will become law in any particular country, they are in clear violation of international law.